This is mountain living at it's finest. 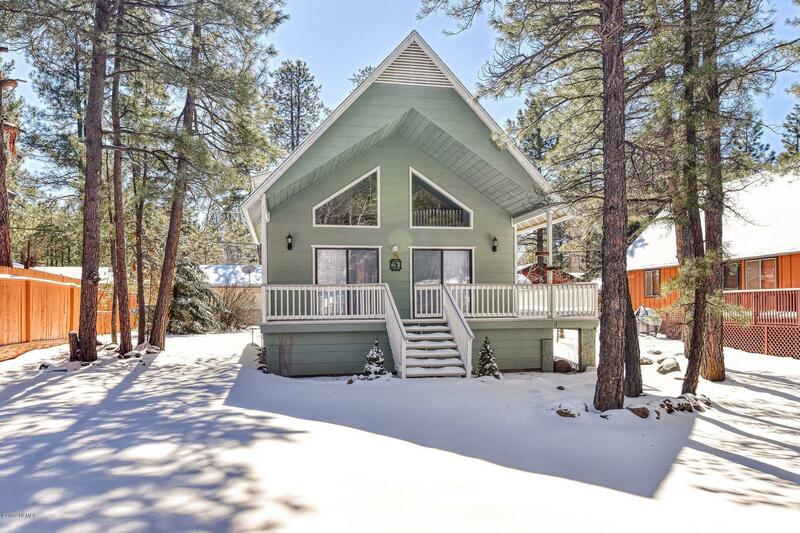 beautifullyremodeled chalet situated on a heavily treed lot. Home has soaring ceilings, open floor plan perfect for entertaining. Spacious wrap around deck is great for spending cool summer evenings on your outdoor space. Remodel kitchen features stainless appliances, gas range, recessed lightingunderneath kitchen cabinets. Kitchen Island provides extra seating. Downstairs features two additional bedrooms, bathroom and laundry. Upstairs loft would make a nice home office. Barn door welcomes you to the over sized master bedroom with en suite bathroom. Shower is lined with subway tile. New paint, new carpet, new flooring,AC among the many upgrades. Storage shed conveys with the home. Don't miss out on this stunning, turn key ready property!